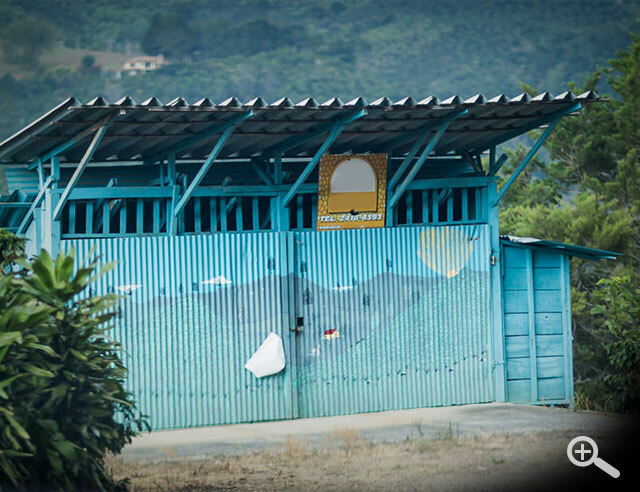 A coffee farm is much more than just a bunch of plants, it also contains all of the machines and processes needed to harvest those beans and deliver them to your door. 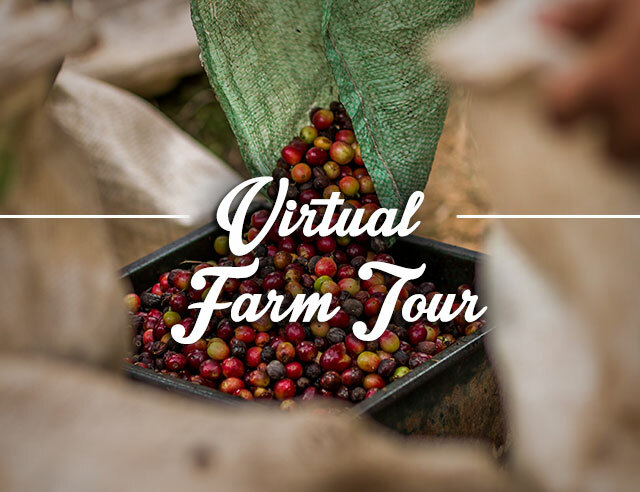 Let’s start our tour of the coffee fields in the processing facilities. 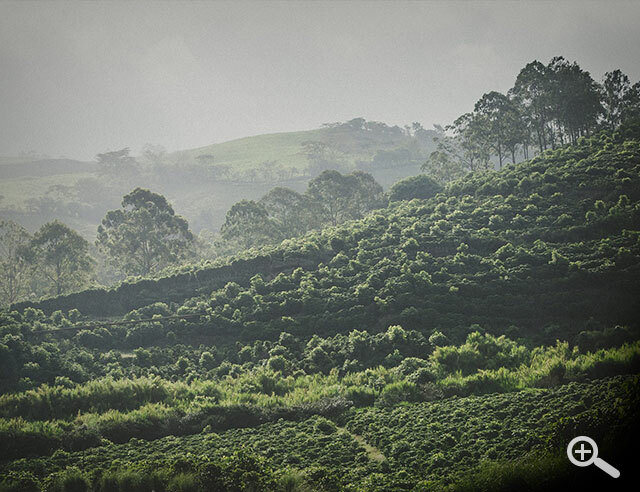 The plantations is the area where the coffee plants grow and looks very different depending on the time of year. After the first rainfall, the plants will bloom and soon, ripe, green beans will appear. 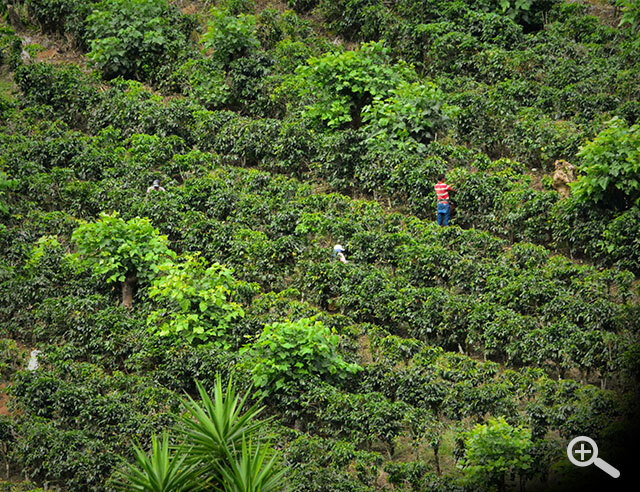 Soon after that, the coffee trees will be full of red cherries and people will arrive to pick and process the cherries. Once the coffee is picked from the trees, it is brought to the recibidor to be weighed and placed in cars that will transport the beans to the beneficio for processing. The beneficio (or mill) is where the magic happens. Fermenting: after being depulped, the beans are dropped into large, clean tanks made of cement, wood, or occasionally plastic receptacles. The beans are left in these vats to liquidize the natural sugars in the bean’s mucilage. This process enhances the flavor of the finished beans. 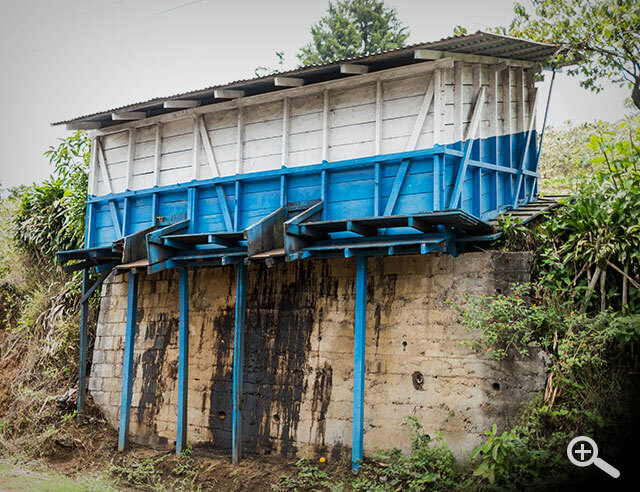 Wet processing: After the fermentation is complete, the beans are washed off in concrete or wooden channels. 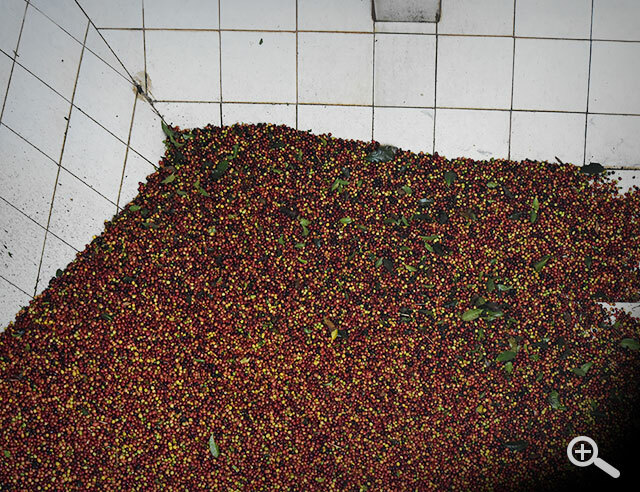 Drying: Once washed, the coffee must be dried either naturally in the sun or using a machine. 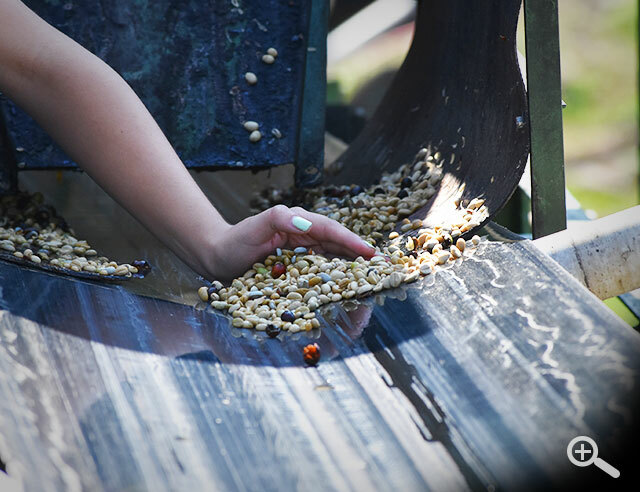 Drying the beans in the sun can take up to two weeks. Rest: the beans now need to rest before being roasted. 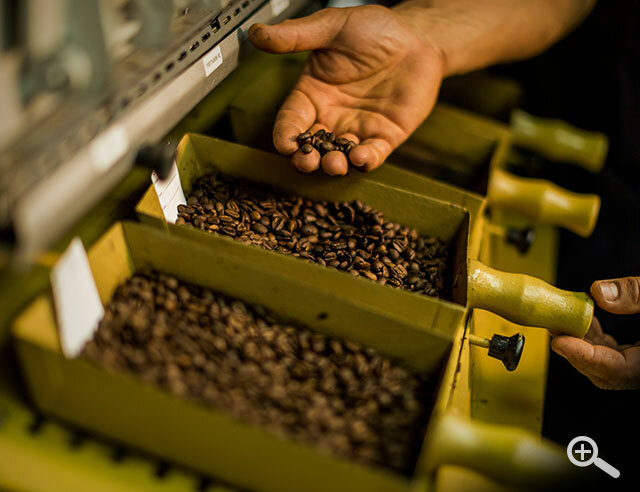 Although roasting does not always take place at the farm, it is important to highlight it as an important step in the process. 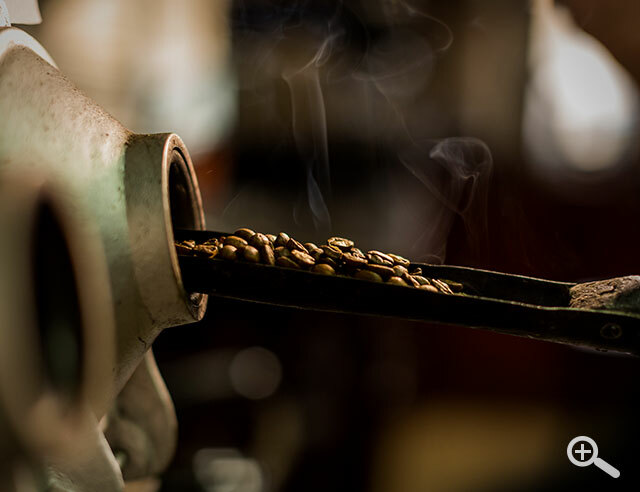 It is during roasting that the flavors and aromas of the beans are brought out to the fullest degree.